Navio at the Creek by Concert, is a new pre sale condo development in the False Creek area. I wrote a whole piece about the development here. 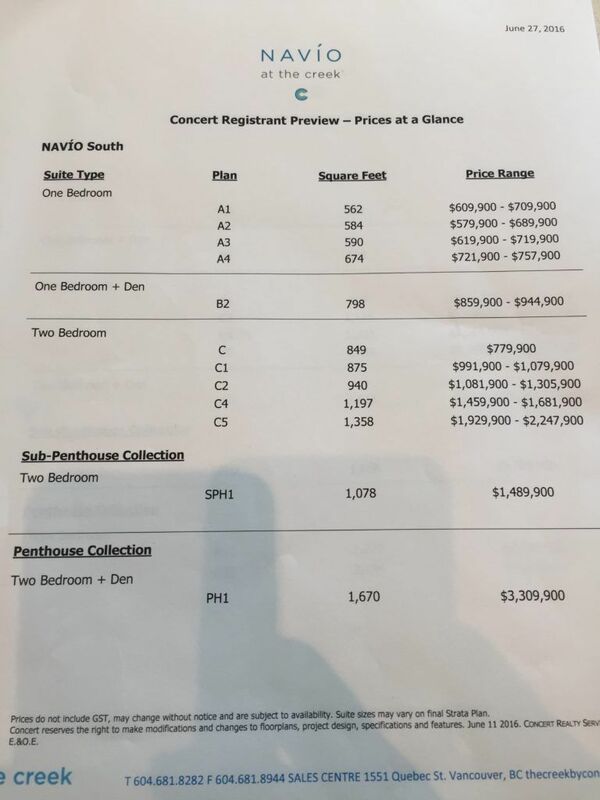 Anyways, I previewed the sales centre at the Realtor only event yesterday and so the purpose of this post is to discuss the prices and the sales process. 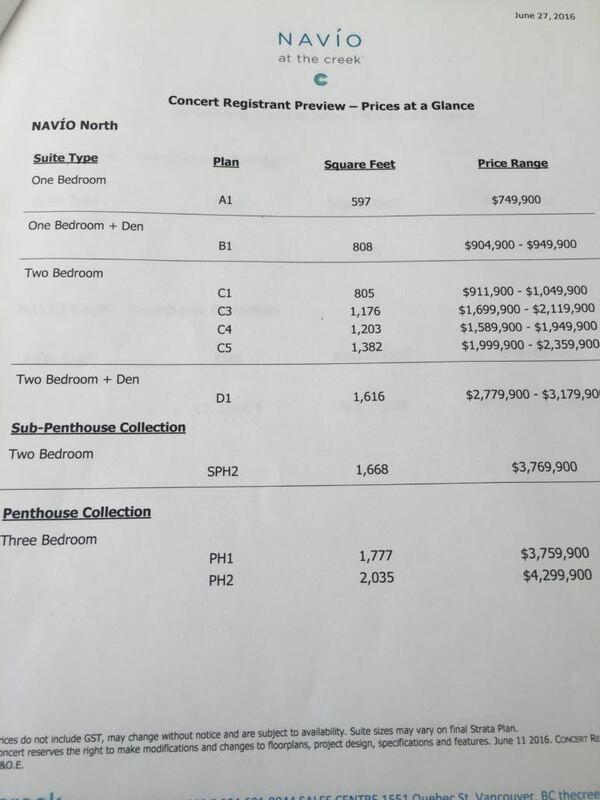 Prices may seem high, especially given Navio at the Creek is not marketed as a luxury development. However because demand is at an all time high developers are able to charge what they want. They were able to pre sell 60% of the development to VIP Buyers. These are going the rates and these units will sell fast! So if you want to get your hands one here’s how it works. Concert is avoiding the whole sleep over, first come first serve route. Navio will have their sales centre open from June 28 to Monday July 4 between noon and 6pm daily. On July 5 Concert Properties will be selecting the lucky winners at random based on their selections. A sales representative will contact you on July 6 and a purchase appointment will be scheduled for July 9. If you are selected an initial deposit of 10% will be required at your meeting on July 9. A second deposit of 5% of the purchase price is due November 15, 2016. A final deposit of 5% will be due on July 15, 2017 for a total of 20% deposit of the purchase price. Completion for Navio at the Creek has estimated date of July 15, 2018.